Garrison Pub seemed like any other pub when I first went there. It has interior wood finishing’s with unique wall decorations typical of most pubs. Located in the area of Altadore in Calgary’s SW, the restaurant is an awesome inner city restaurant to watch the game with some food and drinks. Where Calgary’s Garrison Pub is set apart from the rest is the exceptional quality of food they serve. Our food was on the table shortly after ordering. To start I had a hot chicken Caesar salad followed by chicken tenders with fries. The chicken breast on the salad was smothered with a delicious hot sauce that was more addictive and tasty than Frank’s. I can only imagine what their hot chicken wings taste like! What I would have to say are the best chicken tenders in Calgary were absolutely delicious. Unlike just any chicken tenders dish, the chicken at the Garrison Pub is covered in a fresh bread crumbs batter and cooked. Some places use pre-battered chicken because of cheaper costs and faster preparation times. Here they batter their own pieces to much avail. They literally melt in your mouth! I found myself craving more of them even though I was full. I highly recommend going here and trying some of their hot sauce. It is a little bit on the spicy side, so be careful not to burn the taste buds right off your tongue! If you don’t have a taste for hot sauce, then definitely try the chicken tenders, the salmon salad and nachos are also amazing. Honestly, this is the best “pub” food I have ever had! You can’t go wrong with some food and drink here. 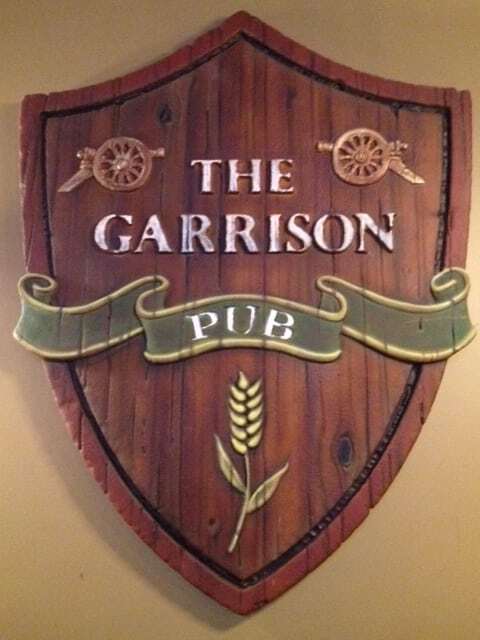 Check out Calgary’s Garrison Pub today! Check out more of the best in Calgary!